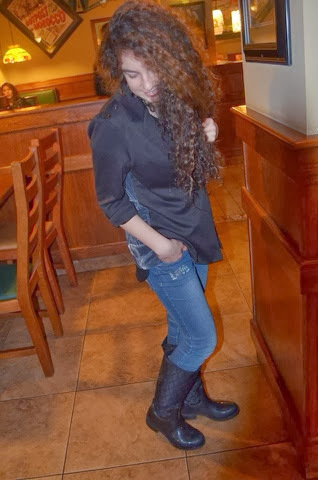 #CurlyHeadedChicGirls: A night out with the Family <3! A night out with the Family <3! Jeans: Topshop (still available) shoes: Dr Martens (always available) . This is what we had for our dessert it was deliiiiiiicious , guys u have to try it , if you didn't it's the best thing ever !! 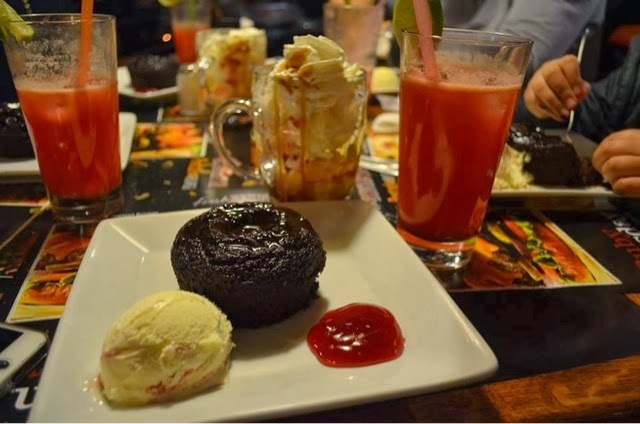 It's called the fondue chocolate cake with ice cream ,and also the strawberry lemonade was perfect , I love this Restaurant it has the best food and dessert ! 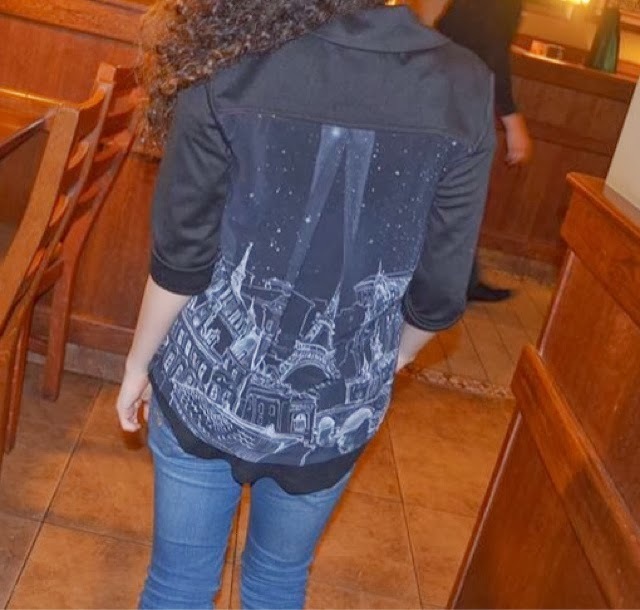 We actually went to dinner to celebrate my dad's b-day :D , I got him a watch as a gift for his b-day and 2 shirts , we had so much fun that day :D<3 . Jeans : Zara (out of stock) , boots : Zara kids (out of stock) , blazer : Kotton ( still available). And This is my outfit it's a really simple effortless outfit I really didn't have time to dress up in the morrning so I decided to wear a simple pear of jeans and plain black boots with a basic black t-shirt and over that I decided to throw my amazing blazer that I really love and I think that this blazer makes the whole outfit , a pieace of advice from me to you would be always try to buy really nice edgy chic diffrent kind of jackets or blazers because they can turn a simple outfit to a trendier effortless chic outfit ! This is our outfits for our family dinner, celebrating my dad's b-day :D! I wishe you liked our post today and please give us ur opinion on our posts , love ya all and have a nice day <3! P.S : follow us on Instagram : swe3tsugar and rouamiley , and twitter : @SiiSitas . White jeans in a winter outfit :D! Favorite season of the year ! How to look chic on a bike !